White collars and cuffs irreproachable shape, perustuvaa linen, beautiful smooth curtains – all the result of nekrahmalistye. How to starch clothes, knew our grandmothers and great-grandmothers. But modern Housewives are actively using this ancient method. Prepare the clothesyou want to starch. Be sure to remove yellow stains in case of their presence. To remove stains you can use hydrogen peroxide – it is necessary to wet the stain and put the thing into the sunlight. The stain should disappear. Prepare solution for nekrahmalistye by dissolving a teaspoon of starch in a liter of clean, warm water. Use a glass or enamel bowl. This solution is perfect for nekrahmalistye dresses, blouses, collars and cuffs. Tissue that best lend themselves to this procedure - Baptiste, chiffon, Voile muslin, gauze. Put in the prepared solution the thing you want to starch. Stir gently, ensuring uniform impregnation of the starch. Note that it is not recommended for nekrahmalistye those things that are very snug to the body (underwear, tight shirts, and so on). Remove the thing from the solution, gently squeeze and very dry. If the thing is made from tulle fabric, leave to dry on a special frame on which you will be able to stretch the starched sweater or blouse. If you have cromaline knitted thing, wring out the excess solution, give the product the desired shape and let it final dry. Wait until things dry out. Gently sprinkle them with water, ensuring uniform impregnation, let me lie down for a couple of hours and fix with an iron. Do not place the iron on the maximum mark – enough to slightly heat it. Starched things are best kept in the closet on hangers. 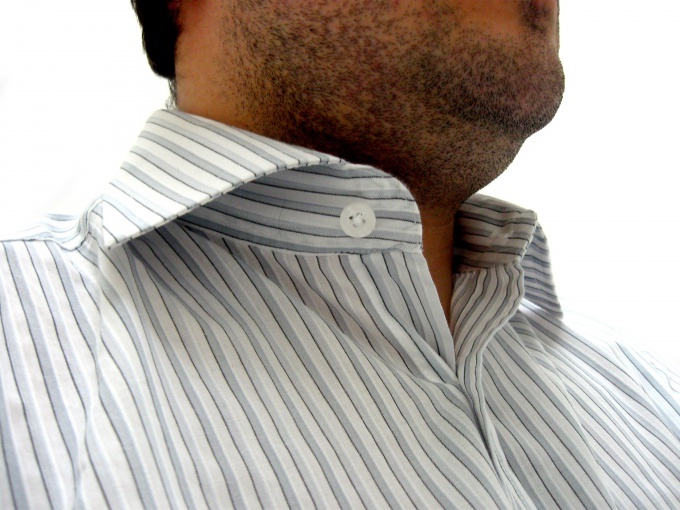 If properly starched clothes, it will be less dirty and wrinkle-free. Appearance-starched clothing festive and beautiful. Unless you specifically want to starch clothes, use washing powder with the effect of nekrahmalistye.